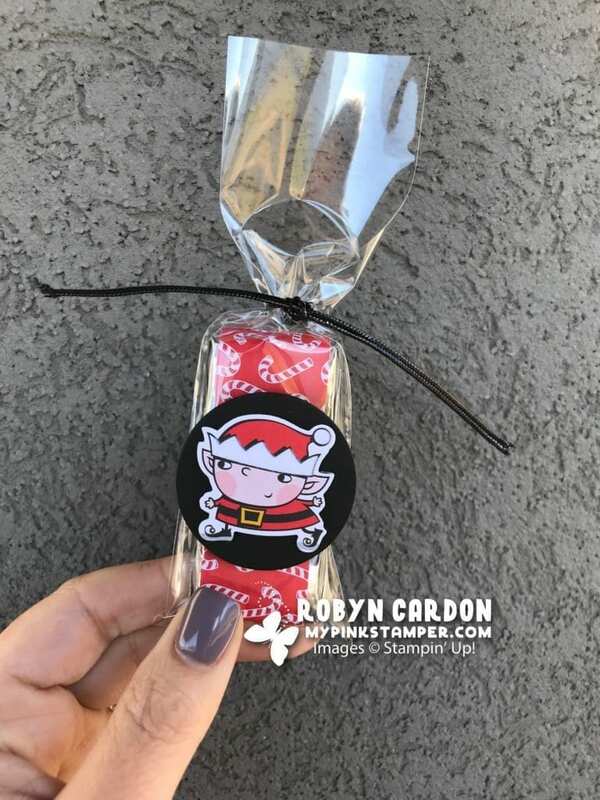 You probably have seen me make different Hershey’s Nugget party favors for years, right?! The reason is that IT NEVER GETS OLD!! Here are some that I just whipped up this morning for some friends. I hope you enjoy & find inspiration. I have a supply list below and the size of the paper for the Nuggets. Don’t forget that you can order any of these items (minus the Nuggets) directly from my shopping page for an easy peasy experience! All new customers will be sent our current catalogs as a gift from me in their thank you package!! 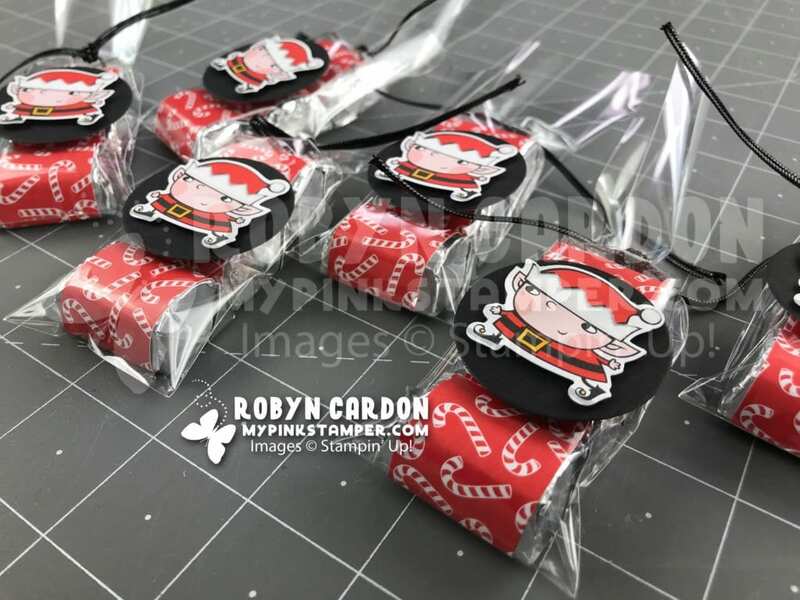 Christmas Goodie Bags using Stampin’ Up! Santa’s Sign Post Thinlits! Paper is cut at 1 x 3 inches! Don’t forget that your order will go towards this week’s promotion!! « Week 3 of I am Thankful for You Promotion with Giveaway & Winners! These are always an amazing surprise! I love the little elves! Those elves are so darn cute!! These elves are so darn cute!!! Robyn, those are so stinkin adorable! I might have to steal your idea. Robyn, thank you for my goodies! I appreciate it so much! Love these treat bags, too. Great idea! I will add the bags to my list. As always, You inspired me again. My Soul Sister!!! I started making these a couple years ago after I saw one of your videos. They are super easy and fun to make! 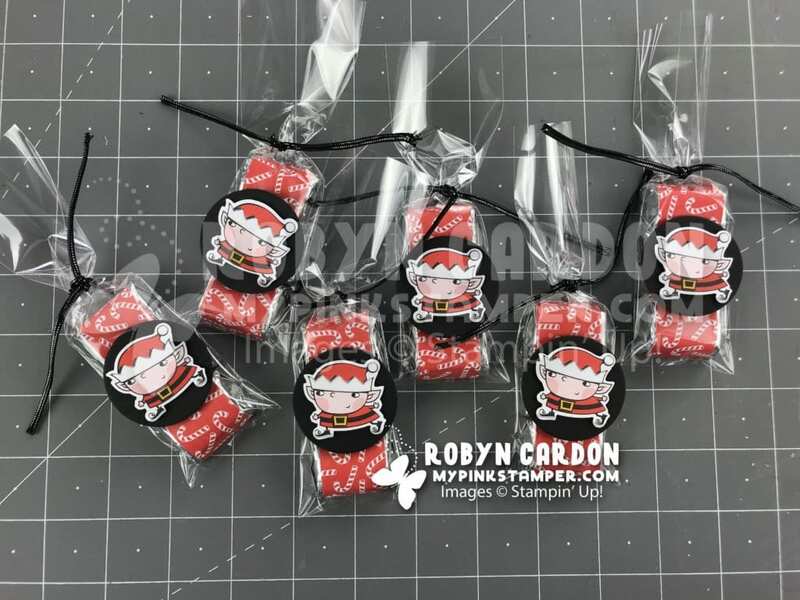 These are adorable and sure to be a hit!!! Thank you!! I think we have kept the Hershey’s company in business!! LOL! !